The bill suspends taxes on exploration, development and production of oil and natural gas to be used in the domestic market for the next 22 years. SÃO PAULO, BRAZIL – The Chamber of Deputies in Brazil rejected on Wednesday (December 13th) an amendment passed by the country’s Senate on Tuesday and upheld a bill that guarantees tax breaks to the world’s largest petroleum companies operating in the country until 2040. 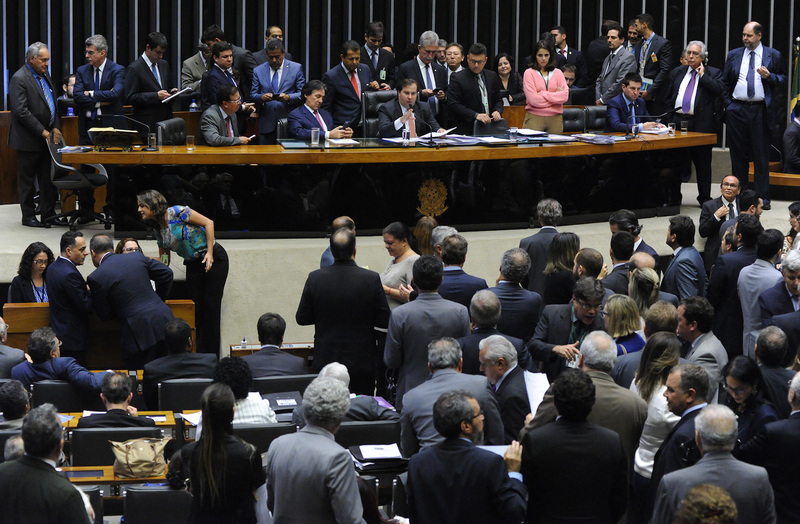 Brazil’s Chamber of Deputies rejects amendment from Senate on Wednesday, photo by Luis Macedo/Camara dos Deputados. On Tuesday, December 12th, the Senate had amended the Chamber’s bill for the fiscal breaks to be given only until 2022. “I think this bill is scandalous since it ends the (government’s) local content policies, generates jobs outside the country and renders tax breaks of billions of dollars to oil companies,” complained Senator Lindbergh Farias before the Senate amendment. The bill, passed by the Chamber of Deputies on Wednesday, does away with taxes on assets directed towards the exploration, development and production of oil and natural gas to be used in the Brazilian domestic market. Fiscal breaks will also be given to the import or acquisition of raw materials and intermediate products used in the sector. For those executives working in the sector the announced tax breaks will help to increase investments in the country. “The bill under discussion aims to ensure tax isonomy and allow Brazil to compete and attract investments, so that they see generate benefits and wealth for the country,” said Antonio Guimaraēs, executive secretary of exploration and production for IBP (Brazilian Petroleum, Gas and Biofuel Institute) in November when the bill was being deliberated by the Lower House. “Without the [exemption] regime, we will have lost twenty years of growth in the oil and gas industry, in addition to all the benefits that the recent recovery of the sector with this year’s auctions,” added Guimaraēs. According to the executive, the fiscal break for oil companies will allow Brazil to become one of the largest oil producers in the world. Guimaraēs also pointed out that the positive results in the economy to the investments in Brazil’s oil and gas sector far outweigh the waiver of taxes received by the federal government. The bill now goes to presidential sanction to become law.